Capcom's Masachika Kawata says it's more important to focus on new IP right now. "I think we learned last year that putting on a lot of titles would not necessarily win over gamers," says Capcom's Masachika Kawata, a sentiment that many Resident Evil fans will agree with. The producer behind Resident Evil: Revelations thinks Capcom's been over-using the IP, and now's the time to ease back a bit. "We should always start by asking how do we make the games better," Kawata says, "and if the solution to making the games better is to have a more staggered release than we've had recently then that's something we'll do." 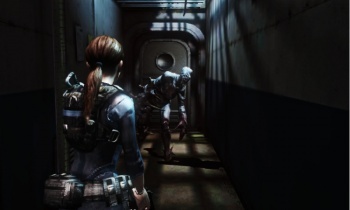 2012 saw three Resident Evil titles claw their way into the marketplace, and Capcom intends to bring out Resident Evil: Revelations later this year. Previously, Kawata has hinted that a reboot might follow Revelations' release. "Capcom has obviously never shied away from bringing back our older IPs to new generations," Kawata notes, "but I do think it's more important for us to focus on creating new IP as we move forward." Exactly what that new IP might be is an open question. Not that long ago, Capcom Vancouver hinted that it might be the source of Capcom's next big game, but the studio formerly known as Blue Castle Games has yet to let any details slip.